Apna recharge is designed in such a way that it's easy and comfortable to use. 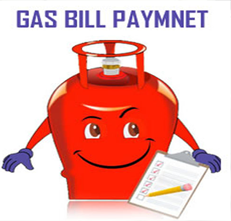 There are no more hassles of waiting in long queues or last minute panic attacks as our Gas Bill portal will do all the work for you. With support from the best major gas industries, we provide a seamless transaction experience that will make sure you won't miss a deadline anymore. After selecting your operator and filling in your customer number the Apna Recharge portal will guide you through the payment process. What took hours to do in the past can be done in a few minutes with Apna Recharge.